The exhibits in the Chopin room at the Polish American Museum in Port Washington, New York, portray the life of the famed composer who was born in Warsaw in 1810. Chopin’s mother taught piano and his father played the flute and violin, so it is not surprising that their son developed an interest in music. His use of Polish folk melodies as the basis for his complex piano and orchestral works brought Polish music to the world’s attention at a time of intense repression by Russian forces in his occupied country. Chopin suffered from a variety of health afflictions from childhood through his adult years. He died in 1849 after a long illness. The accomplishments of the Disabled American Veterans in helping millions of veterans and their families to win benefits and compensation claims from the U.S. Department of Veterans Affairs have spanned almost a century. Renowned for assistance it offers directly to veterans with disabilities, the DAV has also played an important role as an advocate for its members and for all disabled veterans by its lobbying efforts in Washington, D.C., and in state capitols across the country. The DAV has successfully lobbied for legislation to benefit those men and women whose service to their country has left them in need of assistance. 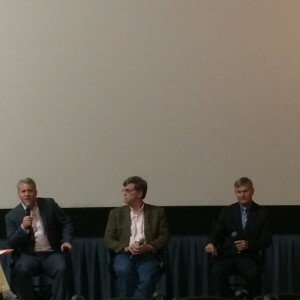 A special screening of the movie “Walesa: Man of Hope” at the Angelika Film Center in Dallas, Texas, was presented by the World Affairs Council. The evening marked the 25th anniversary of the worker revolt that weakened the control of the communist-led government in Poland and resulted in the holding of free elections in Eastern Europe for the first time since World War II. In addition to the screening, the evening featured a spirited and informative exchange between audience members and a panel that included Mark C. Fisher, managing director of the European offices of The German Marshall Fund of the United States; Gerald Kochan, director of the Polish American Museum in Port Washington, New York; and Charles Sullivan of the University of Dallas. The audience members, which included several of Walesa’s colleagues from the Solidarity movement, had the opportunity to partake of European cocktails and foods during a pre-screening reception hosted by the World Affairs Council. 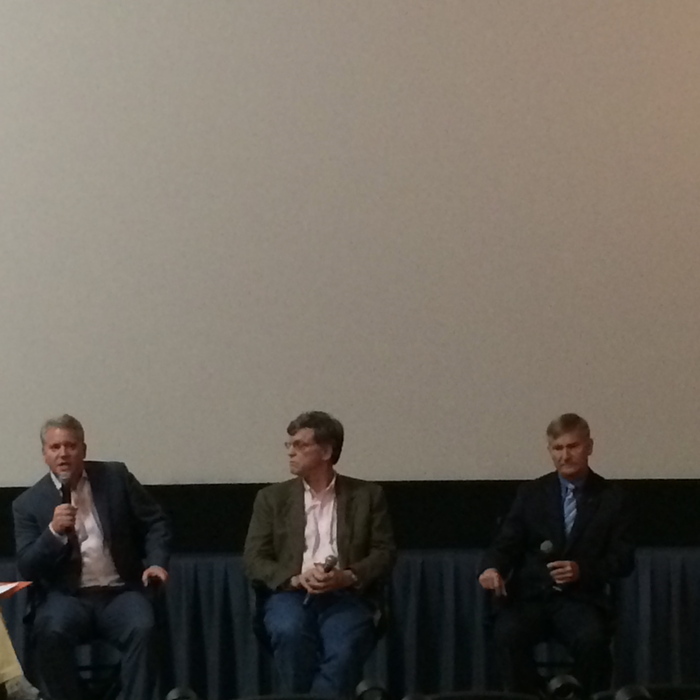 The discussion after the screening of the movie drew parallels between the events in Poland as depicted in the film and the current political unrest in the Ukraine in which Russia is again playing a pivotal role. According to panel member Gerald Kochan, the film, by Polish director Andrzej Wajda, focuses on the improbable rise to power of Gdansk shipyard worker Lech Walesa beginning in the 1970s. Under Walesea’s leadership, an uprising by Polish dockworkers against the Soviet Union’s influence in Poland spread throughout the population. The Solidarity movement eventually won acceptance from the Soviet government. The impact of Solidarity soon spread from Poland to other countries in Eastern Europe as people in countries such as East Germany began demonstrations against what was previously seen as an invincible and all-powerful Soviet Union. Eventually, the movement resulted in the reunification of Germany and the collapse of the communist governments in Yugoslavia and the Soviet Union. Walesa went on to win the Nobel Peace Prize for his leadership of the uprising in Poland. Walesa’s popularity was so great that the shipyard electrician who stood up to the might of the Soviet Union and won eventually was elected to the presidency of Poland. Wajda’s film combines newsreel footage of the actual events in Poland with reenactments of events filmed in and around the city of Gdansk to tell the story of Lech Walesa. Both the director and his writer gave interviews prior to the start of production in which they explained that they intended to portray the Nobel Laureate as a human being with both strengths and weaknesses. Gerald Kochan’s participation in the evening’s events was in keeping with his commitment to fostering an understanding and appreciation of the cultural values of Poland and its people in the United States and throughout the world. This dedication can also be seen in his leadership in operating the Polish-American Museum, which features dynamic exhibits and educational programs to showcase the rich heritage of Polish people in the U.S. and abroad. Prior military service is not a requirement for holding political office. You can be president of these United States, which would also make you commander in chief of the U.S. military, without any prior military experience. Our Founding Fathers set things up that way in order to limit the power of the military by giving it a civilian as its top leader. Ronald Wilson Reagan was elected as the 33rd Governor of California in 1967. He went on in his political career to be elected as the 40th President of the United States in 1981. He was re-elected for a second term, leaving office in 1989. He served from 1937 – 1945 in the U.S. Army Air Forces, obtaining the rank of captain. James Earl “Jimmy” Carter, Jr., was elected as the 76th Governor of Georgia in 1971. He continued his political service with his successful campaign for the presidency in 1976. He took office as the 39th President of the United States in 1977. He served from 1943 – 1953 in the United States Navy, reaching the rank of Lieutenant. John Herschel Glenn became the first American astronaut to orbit the Earth, making three orbits in 1962. Glenn was selected for Project Mercury astronaut training in 1959. He came to the astronaut program through his work as a naval pilot. He entered the Naval Aviation Cadet Program in 1942 and flew 59 combat missions in World War II. He continued his military career, working with the Marines and the Air Force on approximately 90 missions during the Korean War. He was elected to his first term as a U.S. Senator in 1974 and served until his retirement in 1999. 4. President George H. W. Bush, Sr.
George Herbert Walker Bush began his political career in the U.S. House of Representatives from Texas’s 7th District. His extended political career culminated in his election as the 41st President of the United States. He served for one term, from 1989 to 1993. He served in the United States Navy from 1942 to 1945, achieving the rank of Lieutenant (junior grade). John Sidney McCain III became a member of the U.S. House of Representatives from Arizona’s 1st District in 1983. He is presently serving as the senior U.S. Senator from Arizona, a seat he assumed in 1987. Senator McCain served in the U.S. Navy from 1958 – 1981. He served during the Vietnam War and was held as a prisoner of war for five years. During his military service, he obtained the rank of captain and numerous medals. Military service is not a prerequisite for elected office or governmental service, according to the laws of this great nation. Considering how many influential political leaders were elected to office after serving in the military, it may be something a future president should consider. The first thing your high school student needs to know about the Junior Reserve Officer’s Training Corp (JROTC) is that participating in the program in high school does not mean you’ve joined the military. JROTC is there to recruit for military service; it is there to motivate young men and women to become better citizens. Should any participants decide they want to pursue a military career, the JROTC experience will provide many advantages. If a young man or woman decides not to enter the military, those same advantages will put them ahead of the game of college, career pursuit, family and citizenship. How Can JROTC Help With High School? Students entering high school are faced with a huge transition. This is a time in their lives when they are exploring possibilities, a time for forging relationships and testing boundaries. JROTC provides a place away from home and family that they can depend on, a place that can be a haven for them when they need it. JROTC provides structure and rules in a disciplinary system they can accept. It helps them discover and set goals for their coming years and engages them mentally and physically while providing support from instructors and peers. One of the most influential benefits of JROTC is the recognition it garners from colleges and prospective employers. The leadership building capabilities of the JROTC program are considered most desirable when listed on a college application or employment resume. For those college bound, a military scholarship can be worth up to $60,000. Employers will choose JROTC high school graduates over others, looking to the leadership training, dependability and integrity cultivated in JROTC participants. The JROTC program can provide a student with the discipline and the maturity he or she needs to be a successful member of society. Simply put, the JROTC program means active and fun programs offered in a high school. There may be campouts at any time during the year, drill exercising and marksmanship competitions, and field trips. JROTC programs engage students in learning through exploring, such as cave adventures, kayaking and rappelling. The activities are all optional so no child has to participate in any adventure he or she does not want to attend. The JROTC family welcomes all new students. Participation in the program fosters leadership potential in the individual students and helps them learn to live and work cooperatively with others. JROTC emphasizes and teaches principles of tolerance and understanding. JROTC students are all about teamwork; there is a job for every student and every job contributes to the success of the group. Students are encouraged to assist each other and mentor the younger and incoming cadets. By giving students an opportunity to build self-confidence and self-esteem, JROTC can help them transition through their teen years – undeniably the most difficult years in a lifetime. From homework assistance to sharing personal problems, from conflict resolution to peer counseling based on sound advice, the friendships formed in JROTC develop bonds that can last a lifetime. All things considered, JROTC can be a win-win for many students who choose to join its ranks. Unfortunately for the more than 30 movies that premiered at the 2015 Sundance Film Festival, the surprise appearance of Brad Pitt for the debut of “True Story” was the biggest headline of the weekend. He spent time with the cast of the movie and then answered questions from the crowd. For those of you who want to know more about the movies that surprised, both good and bad, the people who attended the festival, check out the list below. In one of the bad surprises of the festival, Warner Bros debuted “Jupiter Ascending” in a secret screening. Despite all of the hype of the screening, many seats remained empty and some festival attendees even walked out during the movie. The most common complaint was that it was not the type of movie people expected to see at the festival and that it tried to be too many types of movies rolled into one. It is rare that a movie planned as a summer blockbuster makes its debut at Sundance so this probably hurt the reviews, too. In another surprise, this time a good one, the movie “Brooklyn” is one that people loved. Because the director had a very impressive first movie, he was expected to do big things. However, his next three movies were considered by critics to be flops and “Brooklyn” was expected to be the same. Instead, viewers enjoyed the movie and gave it high marks as they exited the debut. This low budget feature was not expected to be a standout, but when festivals goers realized that none other than Spike Lee was the producer, they were excited to see the premiere. The director has not even graduated from film school, yet, and “Cronies” showed a lot of promise to be a big boost to his directing career. It is the story of three teenage friends and their struggle to grow up in St. Louis. So many coming-of-age movies premiere at the festival that few stick in the minds of festival attendees. The time period of the movie “The Diary of a Teenage Girl,” the 1970s, is one reason many people were surprised by it, but also because the teenage girl in the movie is having an affair with her mother’s boyfriend. An amazing cast was brought together and the storyline is edgier than most movies of this type. This was definitely a pleasant surprise for the many people who got to see the premiere. “I am Michael” was another pleasant surprise at the Sundance Film Festival. It is the story of a gay activist who renounced homosexuality and became a Christian pastor. Because it is a real-life story, the subject touched many people and the controversy drew many people to the premiere. Several big name stars, including James Franco and Zachary Quinto, are part of the cast. Many believed this could be a flop for these stars, but happily, it appears this movie is better than expected. If nothing else, the Sundance Film Festival is the place for unknown and under-budget movies to make their big premiere. Movies that are loved by the critics at the festival often do much better when they are released later in the year. However, every year has pleasant and not so pleasant surprises for the people who attend. Warsaw is filled with amazing places. As you plan your trip, it will be easy to get so excited that you try to see more each day than possible. When you create your itinerary, these are the places you definitely do not want to miss as you travel around Warsaw. Lazienki Park is the place you will want to visit when you are tired of walking and seeing history. This park is absolutely gorgeous and includes a palace with several lakes. If you are traveling with children, this will be their favorite stop as they will be able to run and play while you relax. It is so calm and peaceful you will forget you are in the middle of a bustling city. The birds and squirrels are always a joy to watch. This area was completely destroyed during World War II and has been completely rebuilt to look as it did when it was first built. It is full of little shops and restaurants to explore or you can simply sit with a good book and enjoy the quiet beauty that surrounds you. The architecture is amazing and offers many unique photographic opportunities. Musicians also wander Old Town to entertain and share their talents. Old Town is worthy of a few days of your trip. Many people do not know the history of Poland during World War II and this museum has plenty of stories to share. The collection of weapons and photos is amazing and many feel this is one of the best museums in the world. In the tunnels beneath the museum, a 3D movie is shown of a German soldier who shares his story of the horrors of the war. The museum is a necessary stop for anyone who visits Warsaw. It may seem odd to include a street as a not-to-be-missed stop, but Krakowski Przedmiescie is the most famous street in the country and needs to be visited. The street is a little over 1 kilometer long and is an easy walk for anyone. You will see palaces and gorgeous buildings with amazing architecture. Wonderful restaurants and bars are along the street and you can easily spend an entire day visiting the shops and sites on this street. Castle Square is considered the most beautiful squares in Warsaw. Many beautifully colored medieval houses surround the Royal Palace. This entire area was destroyed by the Nazis during World War II and has been completely rebuilt to look exactly as it did when it was first built. As you walk around the square, you can visit many shops full of local wares or stop at one of the many small cafes that are spread around. There is a gorgeous view of the river from the square and plenty of places for you to sit and enjoy watching the people. Warsaw has tons of places that you need to plan on visiting when you are there. These are the considered the best of the best by people who both live there and have visited often. Families will have no trouble finding plenty of things to do during their vacation. Housing on military bases has typically been considered basic and utilitarian. In recent years, however, members of the armed services have had access to a wider array of choices in military housing. Green-friendly features and planned communities that incorporate playgrounds, green spaces and other desirable amenities have become more common throughout the military community and offer significant advantages for families housed in these areas. Here are five of the hottest trends for military housing. In 2006, the Department of the Army issued a memorandum that requires all new construction on military bases to achieve silver status under LEED certification rules. As a result, many new homes on military bases include green-friendly features that may include solar heating systems, insulated windows and doors, sun-reflecting roofs and natural shading for south and west exposures. These environmentally responsible designs can also reduce utility costs to provide even greater benefits for military families. Some military bases offer rental plans for fully furnished homes complete with entertainment centers, kitchen appliances and other amenities. This can be of real benefit for families who transfer often. Rather than moving furniture and appliances, the availability of furnished homes on base can provide real convenience for individuals and families of those serving in the armed forces. In contrast to previous military base layouts that isolated members of each rank in their own specified areas, newer bases allow greater cohesion by allowing highly ranked non-commissioned officers to share the same basic space with other officers of higher rank. This allows for a greater sense of camaraderie and can potentially lead to improved cooperation among officers, non-coms and enlisted men and women on the base and in the working environment. Many military bases are actively soliciting feedback from residents on base to determine the most effective upgrades for existing facilities and the best approaches to new construction. By incorporating their suggestions into existing and new base development, officials and administrators can create a more positive environment for service members and their families. Playgrounds, green space and shared community amenities are often among the most requested upgrades to these living spaces. In some cases, modular building strategies can allow greater cost efficiency for military housing. The savings realized by these newer construction techniques can be spent on added amenities to make the lives of active-duty service members more comfortable and more convenient. This is especially critical for military families with children who need safe outdoor play areas to stay happy and healthy. These improvements in on-base housing are designed to help families enjoy greater comfort during military tours of duty and to reduce the costs of utilities in green-friendly residences. As technologies for solar power and energy efficiency continue to improve, the housing available for members of the armed forces will evolve to ensure the most cost-effective use of resources and the best possible experience for active-duty military and their families throughout their service. In recent years, 3D printing devices have become established fixtures within the scientific community and have been used to print apparel, eyeglasses, architectural models, industrial parts and items used in medical and dental procedures. These advanced systems offer exceptional versatility in the research environment and can be configured to produce almost any type of product. This flexibility has made 3D printing one of the fastest growing industries in the scientific field and has resulted in extensive media coverage of this new technology. In the business world, 3D printers are already in use to create custom cake decorations and sculptures from real sugar. These advanced tools can easily deliver intricate filigree designs and dainty flowers to make any cake creation more special. In the civilian world, however, the use of 3D printers in creating food is usually reserved for these types of delicate culinary constructions. For military members serving overseas, however, 3D printers may provide added options to ensure proper nutrition and increased menu variety for those troops stationed far from home. The U.S. military is currently exploring the use of 3D printers to provide customized nutritional products for soldiers on the battlefield or at the front lines of combat. Combined with advanced physiological monitoring systems, these printers could produce food products that contain the precise mix and proportion of nutrients needed by each soldier. Ensuring that these foods are both edible and nutritious is the primary challenge facing the designers of these new menu items. By producing foods that are dense in nutrients and optimally designed to suit the palates of military members, these 3D printers could potentially ensure better health for soldiers while delivering cost-effective food choices for military members and civilians alike. Initial responses to taste tests of 3D printed food have been mixed. While most of these items are described as flavorful, they may be overly spiced or too dense for most palates. Adjustments continue to be made to ensure the most positive response to these new food items and to increase the practicality of 3D printing devices in the field. If these tools become an accepted part of the military experience, they could potentially provide nutritional plans tailor-made to the needs of soldiers and could ensure the most balanced diets for these individuals throughout their military careers. Meals-ready-to-eat, commonly abbreviated as MREs, are a staple field ration for members of the military. While these food products are designed to keep well in a wide range of temperatures and environments, they may become monotonous for soldiers with only a limited variety of choices. The selection of menu items made possible by 3D printing can often relieve the tedium and provide added incentives to eat and stay healthy in the field. Along with other technological advances, 3D printers and the nutritional products they produce can help keep members of the military healthier. This can enhance their state of readiness and can ensure faster response times in crisis situations. Tony Stark, better known to his fans around the world as Marvel’s Iron Man, is known for his distinctive red and gold suit of body armor and his ability to soar into the sky using computer controlled jet packs. While flying is not yet on the list of functions for the armor under development at the U.S. Army Research, Development and Engineering Command (RDECOM), soldiers may soon be outfitted with a cutting-edge suit that incorporates some of the same key concepts present in Iron Man’s gear. The Tactical Assault Light Operator Suit (TALOS) is a lightweight alternative to heavier body armor that incorporates cutting-edge technology to provide added protection and mobility for troops on the ground. Given the harsh conditions and extremes of climate faced by soldiers in recent conflicts, TALOS is expected to include climate controls to reduce stress and enhance performance on the part of users. Temperature management will also be important to maintain key computing elements inside the suit and to provide protection against heat produced by the suit itself. Most military experts believe that TALOS will afford users greater-than-human strength through a powered exoskeleton that will be capable of lifting hundreds of pounds and will offer added protection against enemy firepower or severe impacts. By providing a well-shielded core for human occupants, TALOS will provide a safer working environment for service members in the field of fire while allowing them to perform their tasks with greater ease. TALOS will likely incorporate heads-up displays and external cameras that will allow users to view their surroundings while completely encased in protective armor. Depending on the location and the situation, night vision, infrared and other advanced scanning techniques could be made available on demand to ensure the most appropriate visibility for soldiers throughout the day and night. The same technology currently used to display alerts for drivers on windshields can provide added help for navigating the TALOS from the inside of an enclosed suit. Unlike Tony Stark’s Iron Man arc-reactor suit, however, powering the TALOS will require an ingenious new approach to the battery problem. Electric batteries require regular recharging and replacement. By finding ways to extend the life and reliability of these power sources or by developing new and innovative ways to power TALOS, researchers can improve the chances of soldiers in combat conditions. RDECOM has announced that it will use magnetorheological (MR) fluid armor in constructing the external shell of the TALOS system. MR fluid uses magnetic fields to create variable hardness for body armor to allow greater flexibility when moving and solid protection against impacts. By incorporating this advanced protective substance into the TALOS system, RDECOM can ensure effective protection without increasing weight significantly. Upon its completion, TALOS is expected to deliver added protection for soldiers in the field and will ensure the most effective response to threats against U.S. interests at home and abroad. The technologies used to construct this advanced armor system will also be useful in the development of consumer products to enhance safety in the civilian world.